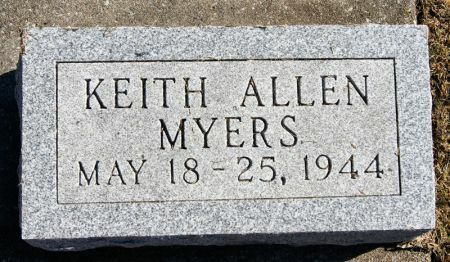 Keith Allen Myers, son of Charles and Mary Myers, was born and died southwest of Bedford, Taylor County, Iowa. Death notice available Taylor County, Iowa gen web site. Searching for KEITH ALLEN MYERS in Taylor County Iowa?